On January 12, 2019, at Port Huron’s McMorran Place Theater Lookin’ Back performed “From Then To Now” for the first time. The first of several chronological retrospective performances that covers Bob Seger’s entire career in little more than 2, or as much as 3-hours. Each show starts with Lookin’ Back performing Bob’s earliest 45’s before moving on to perform at least 1, to as many as 3 songs, from each of Bob Seger’s 18 studio & 2 live albums. From “Ramblin’ Gamblin’ Man” to “I Knew You When” & SOOO MANY MEMORIES IN BETWEEN! This Is Your Life – Bob Seger. 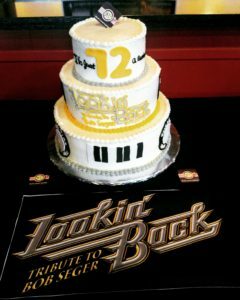 Lookin’ Back is a forward-looking project comprised of seven class-act Detroit-area musicians (primarily) united in keeping the music of Bob Seger performed at its highest level for those who identify with the man’s poetry, unrivaled energy, and vast catalog of time-tested hits spanning five decades. While tribute bands had typically paid homage to the usual rock-n-roll superstars, the music of Bob Seger was completely overlooked in Southeast Michigan until LOOKIN’ BACK! We became #1 in the nation late fall 2018. Since the bands’ sellout debut on August 29, 2009, Lookin’ Back has headlined all but four of its 156 shows; and proudly opened for national acts Loverboy & Average White Band, and has sold out 33 of 43 ticketed events so far! The band’s highlights are numerous, but a select few worth mentioning include: performing with original Silver Bullet Band members Alto Reed & Charlie Martin on four separate occasions in 2011/12; Rocked 11,000+ Detroit Pistons fans at the Palace of Auburn Hills (Bob Seger Appreciation Night); performed for 100,000 at Howell’s Balloon Festival; rocked 7,000 who came to see “Live Bullet Lives Again” at Pride In Saginaw; attracted 5000 (record) at 51st Annual National Blueberry Festival in South Haven; June 15, 2017, rocked 5000 (record) at Milford’s Summer Concert Series at the AMPhitheater…..then we broke our record June 14, 2018, with 5500. THE LOVE FOR BOB SEGER MUSIC IS PALPABLE! The love for Bob Seger is very strong and was most evident as soon as Lookin’ Back hit the Metro-Detroit music scene. In fact, in 2010 Lookin’ Back was asked to perform at a book launch party in Royal Oak, MI entitled Travelin’ Man by Tom Weschler and Gary Graff. Their coffee table photo book includes many candid stories about their life on the road with Bob Seger and his crew. Every year Lookin’ Back celebrates Mr. Seger’s birthday, and to date is the only Bob Seger tribute band doing this. We’re quite proud to recount them in chronological order – just for the record: 1st Annual Bob Seger (65th) Birthday Bash held at Tanglewood Golf Club (FREE); 2nd Annual Bob Seger (66th) Birthday Bash at The Palazzo Grande in Shelby, MI (SOLD OUT); 3rd Annual (67th) Birthday Bash at 59 West End Nightclub in Hartland, MI (SOLD OUT); 4th and 5th Annual (68th/69th) at Wonderland Lanes in Commerce (BOTH SOLD OUT); 6th Annual (Bob’s BIG 7-0) at Michigan Theatre of Jackson (1300 seats/too ambitious); 7th Annual (71st) Friday, May 6, 2016 at Bakers of Milford (SOLD OUT); The 9th Annual (73rd & Stranger In Town release date 40 years ago) at Wonderland Lanes on May 5, 2018 (SOLD OUT). Why return again and again to a local bowling alley? Mr. Seger performed at Wonderland Lanes in 1967 (legend has it), and because Bob lives nearby. 😉 We can’t make it easier for him to simply drop in to feel the love – maybe someday. Because of demand, we had to bump up seating capacity and bring out our Tributesville light show for #10 MT. BRIGHTON SKI LODGE! Lookin’ Back books, produces, and promotes its own shows for their clients. The band is busy all summer long performing at municipal Concerts In The Parks, National/Regional Festivals, private parties, and has entertained in casinos like The Sands, The Little River Casino, Caesars Windsor, and most recently at the Hard Rock Casino near Cleveland. From beer tents to casino’s, from performing arts centers to a few select bars, Lookin’ Back leaves everyone WANTING MORE! Rock N Roll Never Forgets and it is our job to make sure of that. 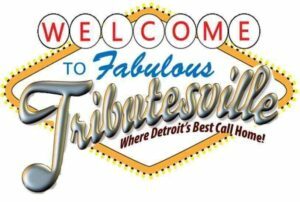 Here are a few highlights as to why Bob Seger deserves a world-class Detroit-based tribute and our undivided attention! (From Wiki) In early February of 1974, Mr. Seger first introduced the Silver Bullet Band in Knoxville, Tennessee and toured the nation with BTO & would eventually get picked up by KISS, who was largely responsible for helping Bob get his first gold record. Bob Seger is Rock-n-Roll is still making history! Since the mid-70’s Bob Seger has found himself inducted into the Rock-N-Roll Hall of Fame in 2004. 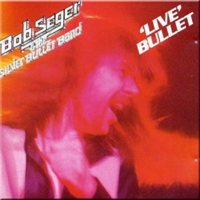 In April of 1976, Bob Seger & The Silver Bullet Band had their big commercial breakthrough with the album Live Bullet which was recorded over two nights in September 1975 at Detroit’s Cobo Arena. The album remained on Billboard charts for 168 weeks and peaked at #34 which was Seger’s highest charting album at that time. It also contained a hit rendition of a cover of Ike & Tina Turner’s Nutbush City Limits (#69 US) as well as Seger’s own classic take on life on the road- Turn the Page, and re-released a few of his late 1960’s successful releases Heavy Music and Ramblin’ Gamblin’ Man. Other hits on that record included Katmandu, Get Out Of Denver, Travelin’ Man and Beautiful Loser. The success of Live Bullet gave rise to his blockbuster follow-up album Night Moves that put Bob Seger squarely and forever after on the national stage. Three-fifths of all initial sales of Live Bullet sold in Detroit-area record stores, and over time would reach 5x Platinum status. The Live Bullet record remains a music critic’s favorite, the 44th best selling album of the 70s, and for almost 20 years was one of the top 50 live albums of all time. Bob Seger’s 1986-1987 American Storm was to be Seger’s last major tour which resulted in 105 shows over nine months and sold nearly 1.5 million tickets. Most recently, Bob Seger’s Greatest Hits compilation was named the nation’s biggest selling compilation record of all time, selling nearly 10 million copies as of 2010. With all that said, we’ve dedicated ourselves to delivering for our clients a world-class Bob Seger & The Silver Bullet Band experience on par with the genuine article we’re sure everyone will appreciate and enjoy. Alto Reed Performs With Lookin Back AGAIN! If you’re interested in hiring Lookin’ Back, please drop us an email. Email If you have something to say please drop us a note below. OR, keep in touch in real time on our Facebook page. Become a Lookin’ Back VIP Member Today! I didn’t know of your performances until I read about the group in the Spinal Column. I look forward to hearing the group. We are coming back to Mildord Amp this June. 9th Bob Seger Birthday Bash May 5 at Wonderland Lanes in Commerce. 33 Tickets remain as of March 21. Get thwm soon. Saw the item in a local paper about the bands job at the Detroit Zoo, so went with a “girlfrieln” of 30 + and had a great time. Too bad more zoo-bies didn’t stop and enjoy the concert. It was GREAT! Pat! Some of our best performances have been for very small crowds because we can connect with them more directly. The Zoo really took good care of our audio needs and provided us an OUTSTANDING work environment…both on stage and location. VERY COOL PLACE TO ROCK N ROAR! We figured the weather caused just enough doubt to keep the zoobies home…..but in the end we couldn’t have orderd better weather conditions….overcast, cool, a small breeze made it ideal. Thanks for the kind words and stay in touch on facebook. Saw the show in Grand Blanc last night. As a long time Seger fan I just wanted to say how much we enjoyed the show. Luke, it means a lot to us that you took time to share your thoughts about a recent performance. It’s always nice to hear from satisfied Bob Seger fans who appreciate our efforts. My wife and I have seen at lot of your shows like the Seger Birthday bash,Christmas Party,Jeep Creep,Fenton Applefest,andmany others.We just love you guys and can’t get enough. We will see you at St Andrews Hall on March 15th. Thank you Rock n Roll Never Forgets. Thanks for sharing your kind words. See you in Detroit! It was a special night for EVERYONE Larry and thank you for being there! 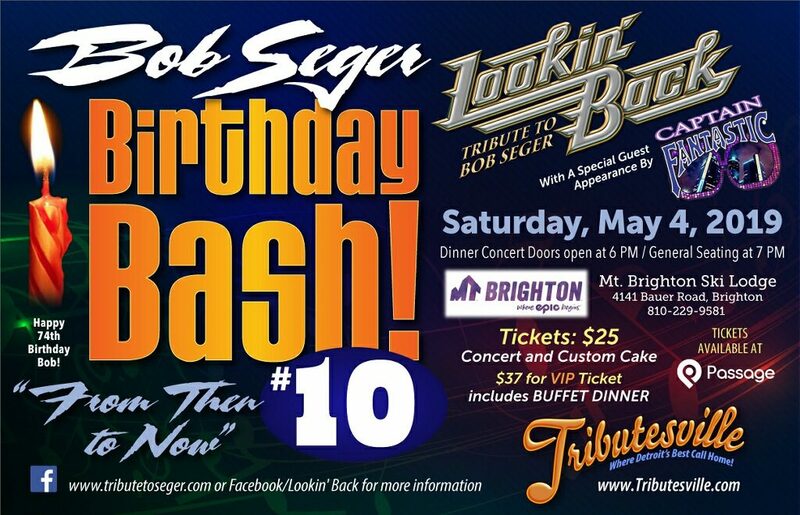 We hope you can make it to our 5th Annual Bob Seger Birthday Bash May 10 in Commerce Township. See the Events page to learn more about our most important/fun-filled dinner concert this YEAR! Listened to your show at the Mustang Stampede from our boat at Mackinaw City marina. Thought for sure Seger was performing. Outstanding sound. Took me back to my high school days. Loved it! Mr. Schantz! THAT my friend is music to OUR ears! Thanks for the kind words that mean so much to us! Can’t wait to see you when you come to the Michigan Theatre in Jackson. I sang with Skip VanWinkle back in the early 70’s and had the adventure of performing on stage with Ms. Shawn Murphy for 2 weeks before she started touring with Bob Seger. I am sure your show will bring down the house! Thanks for keeping the music alive! Thanks for the kind words. Shawn IS SPECIAL! 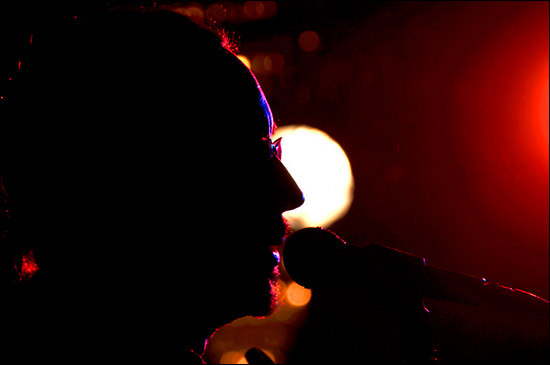 Our mission is to keep Bob’s music LIVE & ON STAGE for as long as we shall live. It’s going to be a fun night at the cinema for sure. Bring your friends and neighbors! If you want some good Bob Seger music, get out and here Lookin’ Back. Todd and group does a good job with Seger songs and they are fun and great group. Rock N Roll Never Forgets. To Members of looking back. I saw your show at Alpenfest and loved it! I am associated with a historical Society with a 100 year old Playhouse which currently needs a new roof. We were hoping to hold a “raise the roof” fundraising event and think your group would be a perfect fit! THANKS FOR THE KIND WORDS! We’ll help anywhere we can if possible. Feel free to call Todd Stoney at 248-755-6814! Did you get my email and information? OH my gosh! I also saw your performance at Alpenfest and it was wonderful. Having been a Seger fan since he was Bob Seger and the Last Herd so many years ago and seeing him in concert several times I can say you guys do him proud. Can’t wait to see you guys in concert again. HOW KIND! PROUDLY WE PLAY SEGER, we can only hope he would find us pleasing to listen too. We can only measure ourselves against the original. We’ll always fall a bit short, but we’ll always be dangerously close! See you in Frankenmuth this September? Wondering if you’re playing Frankenmuth Auto Fest this weekend? Sorry, due to internal personnel instability and flat out stupidity, I was forced to cancel our Frankenmuth performance in order to protect and maintain Lookin’ Back’s brand integrity, and protect our client and audience from what could have been a less than satisfactory performance. Client satisfaction always come first. We hope to return next year. The band has retooled for the last two shows of the year in Fenton (AppleFest), and Adrian (Art-A-Licious). Hope you can come see us at either location. I am certain you’ll be completely satisfied with our new singer. Check our website later today for more information about our new singer! Glad to see the site back up again. Missed you for a while there. Good job with the history of the group. The members may change, but I feel the quality won’t. Nicely done Todd. THANKS PAT! Being the quality control guy here you have my promise we will always have a continuous improvement philosophy in this band and like a fine wine will improve over time. See you someplace and sometime where the weather is warm. Saw these guys in Ferndale last Summer. During the Dream Cruise. They blew us away. 99% as good as the original. Bob Seger would be proud. We will make every effort to attend this. I have been trying to get to see you guys for two years. I will make it hopefully this year and definitely to Bob Seger’s birthday bash in 2018!! Welcome home… you guys rocked it tonight! Sorry I missed your reply. Thanks it was a hot one. See yhou in OWOSSO NYE? Dmar Banquet & Conference Center. Elton John and Bob Seger Dinner Shows to pick from. Our singer was recovering from a bad sickness and we was all lucky we did’t have to cancel our show. Much of Bob’s very early music featured his “screaming”. There is only one Bob Seger and he sings VERY LOUD and with all his might and therefore one of the most difficult voices to emulate. We all do our best. Sorry about your disappointment at the Cruise. Try us again Oct. 5 in Novi. Love us next time or your money back.